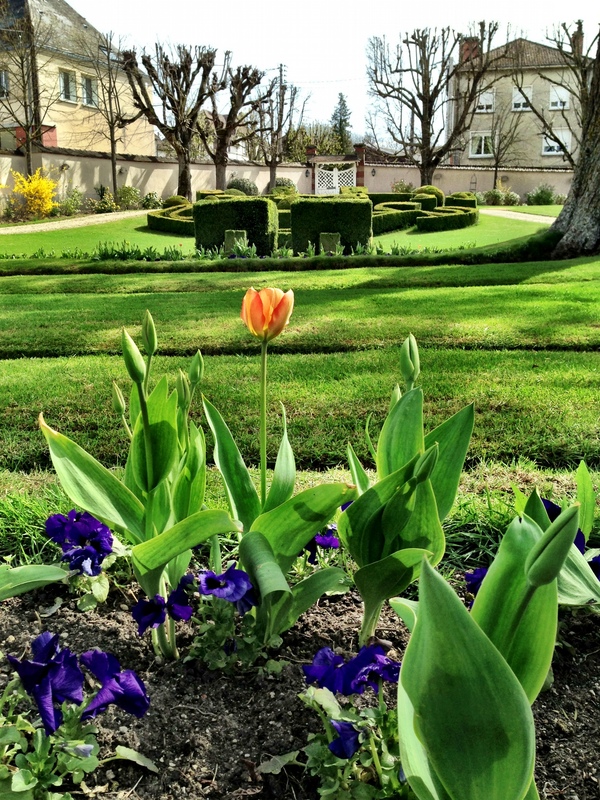 Spring has finally sprung and this week I was in Champagne again to visit the house of Billecart-Salmon. While I was there, we were fortunate to be the first outside of the maison to taste the 2004 brut Blanc de blancs. It hasn’t been released yet as Billecart-Salmon is one of the last champagne houses to release their 2004. They felt that their 2004 was not quite ready until now. The grapes for the blanc de blancs all come from the grand cru vineyards Avize, Cramant, Mesnil and Chouilly. After the light and fluffy mousse dissipated it was followed by a very fresh, aromatic and creamy nose. Tiny, fine, silky bubbles streamed to the top, I can watch those tiny bubbles all day, they are so mesmerizing but I wasn’t distracted for too long and took a sip. A silky smooth mouthful, the bubbles really do caress your palate on the way down. Full of grapefruit and pomelo on the palate, it is very fresh but ready to be drunk now- an excellent, well balanced champagne. However, it is a lively 2004 and definitely has a few more years left in it. It was also just so tasty, that is the best way for me to describe it, a real delight to drink. I wish we could have taken it to lunch with us but we had to leave it with its compatriots at the cellar door. I felt lucky to be tasting it before its release and I’d say that it was well worth the wait. 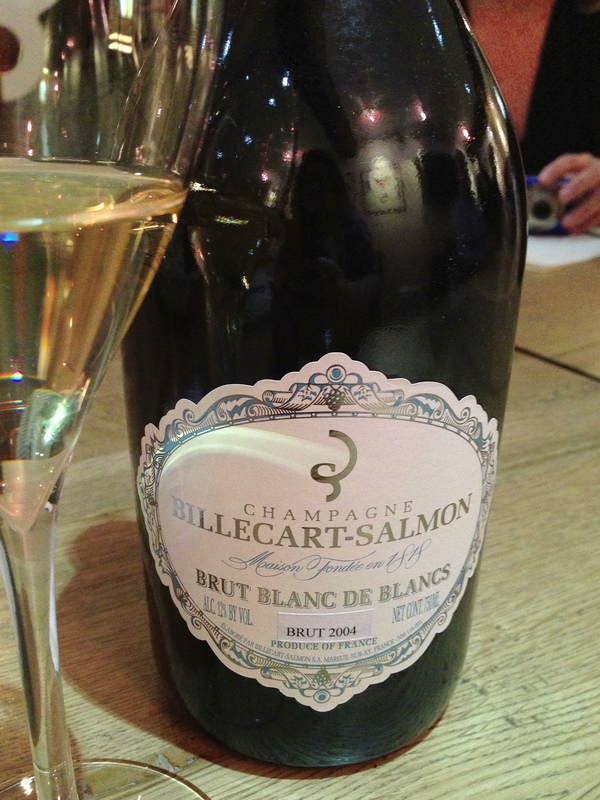 The Billecart-Salmon 2004 brut blanc de blancs will be available in June 2013.
alas, I must live vicariously thru you. what a great tasting opportunity!! !